Extract, Transform & Load - Perception Consulting Ltd.
Our Extract, Transform and Load (ETL) tools, processes and methodology will allow curated connections to all your data with one version of the truth every time. Our deep dive experience on shaping and forming data is second to none, with some of the world’s most well-known brands trusting us to enable them at every level. The ETL process encompasses various steps in the data preparation phase and can vary hugely across organisations and within organisations. A critical step in most analytical projects involves getting access to the data. The data may come from one or multiple systems, some of it living in an MS Excel file, some in a HR system or some in an SQL database. Regardless of the origin of the data, the goal will be to bring it together in a meaningful way, to provide you with a cohesive source of information. This will then lay the foundation which can inform you about the performance of your organisation. Once data has been extracted from the various systems it will then need to be transformed in such a way that meaningful analysis can take place. The transformation stage involves a process of cleansing, validating, shaping and modelling so that data can be analysed and consumed by the business to provide data-driven insights. In today’s digital world, data is everywhere and it can be a challenge to bring it all into one place. We help our clients blend their data sources and manage the process to optimise performance and efficiency. We can assist by automating processes so that people have more time to add value in other areas. New data sources continually arise as systems change and new processes emerge in this evolving landscape. Once a solid foundation has been put in place, we find this can be leveraged so that new data sources can be added as the need arises. The final step in this process is to make the data available to the visualisation or business intelligence tools so that it can be loaded seamlessly and in a timely fashion. You might want to schedule updates or connect to live data and we can advise and arrive at an approach that works for your organisation. Steps will be automated wherever possible, providing effortless access to the most relevant and up-to-date information. Ultimately you will want one environment with all your consolidated data. The original source of the data loses relevance as you gain one view of where your organisation stands. This source can then be interrogated, explored and leveraged to answer questions and uncover insights. This ETL will therefore remove the disparate and unwieldy report factory trying to manipulate data into shape in order to meet all your reporting requirements. 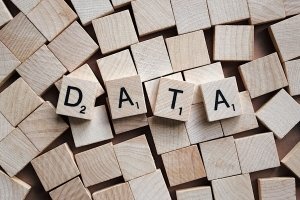 The data connections will always be in the right shape and form so you will no longer spend copious time manipulating multiple Excel sheets in order to see and understand your data.